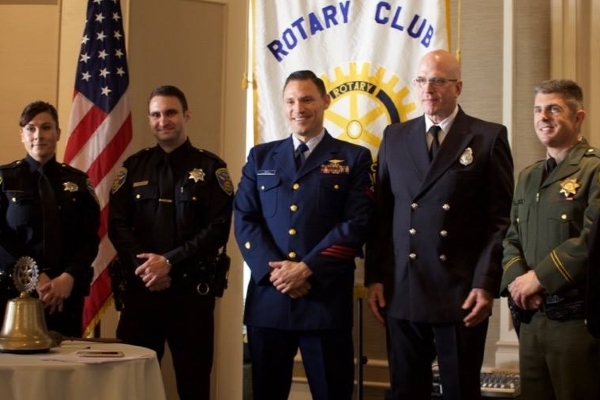 The Rotary Club of San Francisco has been holding luncheon meetings on Tuesdays for more than 100 years. While many details have changed about our weekly luncheons, they are as popular and vital as ever. Members begin gathering for conversation and networking before sitting down for lunch. During lunch, we conduct club business, visit with each other, and then hear from an outside speaker. We regularly hear from city and state leaders, media personalities, heads of local cultural institutions, and other experts on topics including homelessness, climate change, technology, politics, art, and economics. 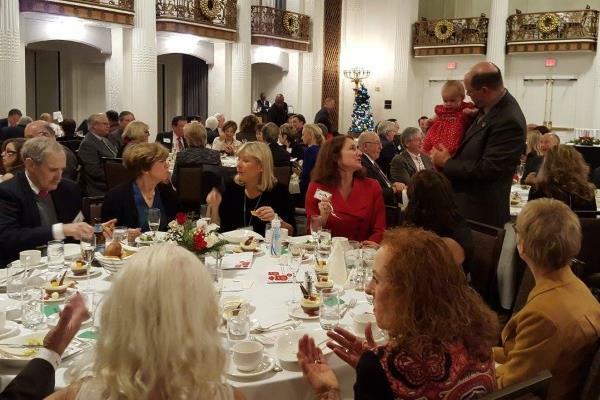 We conduct several special luncheon meetings each year, including Emergency Services Day, when we honor first responders for dedication and heroism, and our annual Holiday Party, where we celebrate our relationships with each other and the charitable work we do as a club. What's most important about our luncheon meetings is the opportunity they provide for our members to spend time together and break bread together.